Democratic Sen. Ricardo Lara said he plans to introduce a bill similar to the Affordable Care Act that would provide health insurance to illegal immigrants. Lara said immigration status should be irrelevant if the goal of the federal law is to provide coverage for the uninsured. “Immigration status shouldn’t bar individuals from health coverage, especially since their taxes contribute to the growth of our economy,” Lara said. Federal law currently prohibits individuals who enter the country illegally from obtaining coverage through Covered California, the state exchange created under the Affordable Care Act. Yet, Lara and his backers are considering creating a program within Covered California that would insure undocumented immigrants. 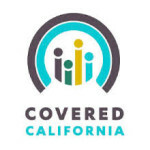 They are also considering alternatives, such as expanding Medi-Cal coverage. An estimated 2.6 million illegal immigrants live in California, about 1 million of whom are uninsured. Republican assemblyman and gubernatorial candidate, Tim Donnelly, said Lara is trading on the plight of people ineligible to receive health benefits. “California cannot afford to create another incentive to attract people to come to our state illegally in pursuit of taxpayer-subsidized benefits,” Donnelly said. I am 48 yrs old. I grew up here and was raised here my whole life in this county. It saddens me to see California slowly falling apart. I have a wife who is a legal resident here, we paid plenty of cash for us to be together legally. (retired military) It makes me sick to see California is giving driving licenses, allowing illegals to practice law here, and now some want to let them get on California Covered. My family is moving out of this state this summer. Good bye the California I once loved so much. Don’t forget about Habitat For Humanity……….The need nice new homes too. Gee do you think Ayn Rand nailed it in the 50’s. Give to the losers and take from the workers. the Ayn Rand who used medicare and a rent controlled NYC apartment when her philosophy failed?